No matter what crime you are being charged with, the search for reputable and successful criminal defense attorneys in Chicago, Illinois, stops at the Law Offices of Mark G. Bergal, LTD. At our law firm, we focus on criminal defense attorney services to make sure you have your say in a court of law. Our Criminal Defense Attorney is a former prosecutor, who understands how the state will pursue the case against you. Clients from throughout the Chicago area know that they can always place their trust in the skilled and dedicated legal team at our criminal defense law firm. From Joliet, Naperville, and Schaumberg, to Chicago, criminal defense attorney Mark G. Bergal has the experience and legal knowledge to handle any type of criminal defense case. As a criminal defense attorney, Mark G. Bergal focuses mainly on drug offenses and DUI cases. If you find yourself on the wrong side of the law when it comes to these issues, the staff at our criminal law firm is ready to work for you in your defense. Backed by more than 20 years of experience in Illinois courtrooms, criminal defense attorney Mark G. Bergal is a seasoned legal counsel that has dedicated much of his professional life to defending those accused of a crime. At our criminal law firm, we stand up for your rights. From getting arrested for driving under the influence of alcohol to being charged with possession of illegal drugs, we handle a wide range of criminal defense cases at our criminal defense law firm. Let us take care of your defense when you have been arrested. Criminal defense attorney Mark G. Bergal uses every angle and determines the best way to punch holes in the prosecutions case. Being arrested for drug possession is not something anyone wants to face, so don't face it alone when you can call our law firm for legal advice and representation. The next phone call you should make is to our offices. We also defend those charged with DUI offenses. 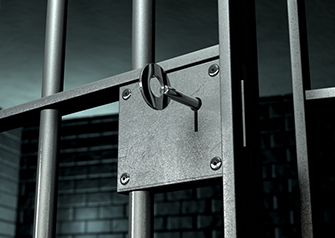 Let us help you keep our freedom with our criminal defense services. Contact us today make an appointment with a criminal defense attorney from our law firm. We represent clients throughout Chicago, Joliet, Naperville, and Schaumburg, Illinois.